Edouard's family owns Domaine Vocoret & Fils, a well known and large Chablis domaine, with over 50 hectares planted including six Chablis premiers crus and renowned for its solid, tradionally-styled wines. 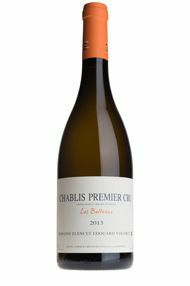 Edouard and Eleni partnered while in New Zealand but returned to Chablis to run a small plot of 3.3 hectares in the family vineyard. 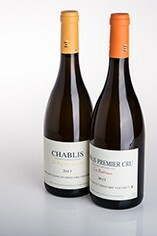 They are currently producing two wines: Chablis "Bas de Chapelot" and Chablis 1er Cru "Butteaux." Bas de Chapelot comes from 3ha just beneath Montée de Tonnerre while the Butteaux parcel is 0.3ha. Vincent Dauvissat is a mentor and a source of inspiration for the Vocorets. 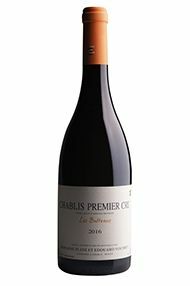 Edouard Vocoret is the scion of one of Chablis’ well known families. He met Eleni (née Theodoropoulos ) when they were both working in New Zealand, since when he has apprenticed with the excellent Daniel Barraud (Pouilly Fuissé) while Eleni has been working with Vincent Dauvissat who has given them a great deal of help in setting up their own small domaine in Chablis. We have nicknamed this promising pair the Vocoropouloi. There are just two wines from the debut vintage, 2013, which has been hand harvested and matured in wood, using older barrels. They have nearly five hectares of Chablis, in three plots, the largest being Le Bas de Chapelot, just below Montée de Tonnerre. This is the only one currently being bottled. There is also a small holding of 1er cru Les Butteaux.